BRISTOL, Pa. (WPVI) -- Police in Bucks County have released two photos in hopes of locating a missing person. 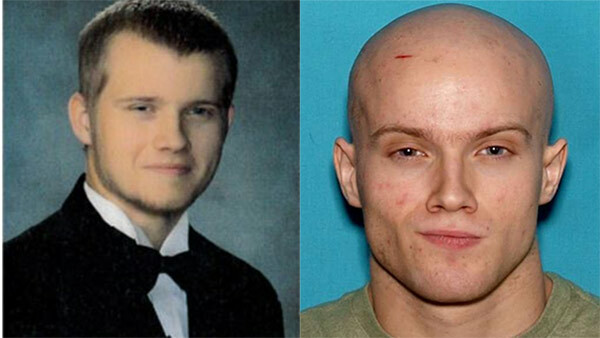 Bristol Township police say 22-year-old Timothy Ceaser was last seen in the area of the 7-Eleven store in Croydon on Route 13 near the Neshaminy Creek on June 1st. Ceaser is described as 5'10, 130 pounds, with light brown hair, and hazel eyes. He was last seen wearing a plain black hooded sweatshirt with a white hooded sweatshirt underneath with different specks of colors on the hood. He was also wearing an olive color t-shirt, dark blue jeans and tan and black Nike sneakers. Police say he may be carrying a black toiletry bag, black jeff cap and tan slippers. Anyone who sees Ceaser or has information on his whereabouts should contact police at (215)785-4040.